On May 24th, three architectural practices were invited to present their final plans for the refurbishment of the high school building of Tabor College Oscar Romero. We re-organised the interior of the school by introducing a new circular corridor and adding two new high entrances plus a separate sports hall. On April 19th, ELA (together with Joost Barendregt Architectuur) presented three different options for extending an existing high school building in Hoorn. These options are part of a larger proposal for reorganising and extending the Oscar Romero School (Tabor College). At the moment, we are working on option A (a large separate sports hall), which we will present to the school and our client (Stichting Mevrouw Meijer) at the end of May. In April 2016, 60 architecture students from the Delft University of Technology will visit Budapest under the direction of dr. ir. Willemijn Wilms Floet and her colleagues at the Faculty of Architecture. In preparation for this journey, Emiel Lamers gave a lecture on the March 22nd at the university about Contemporary Architecture in Budapest. As it was a public lecture, the presentation was attended not only by students but also by other interested members of the community: Saskia Molema from the Hungarian Embassy in The Hague, graphic designer Pierre Swinkels, who designed the exhibition about the book, and architect Roeland Dreissen from Genootschap Architectura et Amicitia who is preparing a study trip to Budapest at the end of September 2016. Despite some very cold days in January, there are still many foreigners coming to the Netherlands to admire Dutch contemporary architecture. The month started with a seven-hour private taxi tour for a German investor from Munich. On the January 21st and 22nd, 29 colleagues from investor Groupe Artea came to Amsterdam. On January 30th , 60 Swedish professionals from ÅF Consult came to see the newly built island IJburg and the centre of Almere, designed by Rem Koolhaas (OMA). At the beginning of February, 40 students from HAN (Hogeschool Arnhem-Nijmegen) visited the Amsterdam city centre (Scheepvaarthuis and OBA). And finally, on February 5th, 120 colleagues of the French developer OGIC came to see contemporary architecture in Rotterdam (see last picture with Winy Maas of MVRDV in the Market Hall). Emiel Lamers Architectures wishes you an inspiring 2016. In the current issue of A10 magazine (Nov-Dec 2015, number 66), an article was published about a wooden “pop-up” village in Hungary, written by Emiel Lamers. Last July, Lamers was invited by the Hello Wood organisation as an architecture critic to observe this yearly art camp. Photos of the evening were taken by architecture photographer Tamás Bujnovszky, who also took most of the pictures published in Lamers's book, Contemporary Architecture in Hungary. 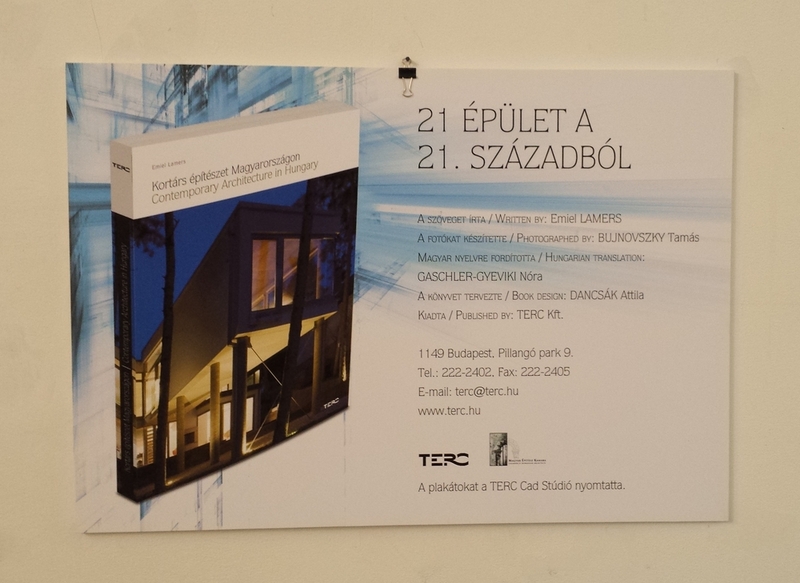 On Monday, 21 September 2015, architect Tamás Sentirmai opened the exhibition about Emiel Lamers’s book at the Chamber of Architects in Debrecen, in the east of Hungary. The opening and small conference were attended by about 40 people. The exhibition was on display in Debrecen until October 22nd. 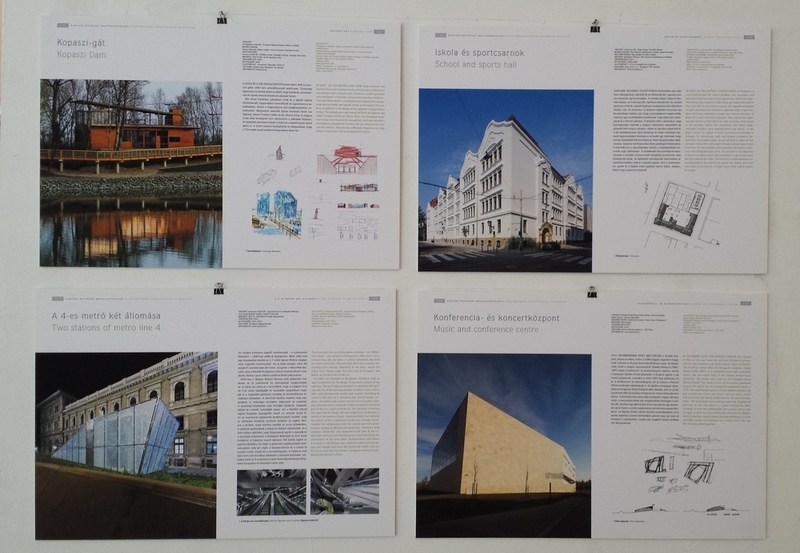 Architecture historian and critic Daniél Kovács has written a positive book review about Emiel Lamers's recent publication Contemporary Architecture in Hungary. The review was published in the latest issue of A10 magazine (number 65). Last month, Emiel Lamers guided six different international groups with a total of more than 200 people. The participants varied from employees of the Dutch architecture pension fund to landscape architects from the UK, USA and France and civil servants from the Norwegian city of Drammen, near Oslo. The month ended with a four-day study trip that ELA had organised for the French Association of Urban Development (AFDU). A total of 67 architects, builders, civil servants and local politicians visited Rotterdam and Amsterdam during an extensive programme involving more than 20 speakers and architects. Among these speakers were officials of the Municipalities of Rotterdam and Amsterdam, architects Sjoerd Soeters and Bjarne Mastenbroek and architecture historians Sabine Lebesque and Fred Feddes. Last Tuesday, ELA organized a meeting for the AFDU (Association Française du Développement Urbain) in Paris. The meeting was held in Hôtel d'Avaray, the sumptuous residence of the Dutch ambassador in France built in 1780. After three introduction speeches by Ambassador Ed Kronenburg, the president of the AFDU, and the general secretary, Lamers gave a presentation about contemporary architecture in the Dutch metropolitan area of the Randstad. At the end of this month, 67 members of the AFDU will take part in a four-day study trip to the Netherlands, organised by ELA together with Terra Nobilis from Strasbourg. Last week, the 6th edition of the architecture building camp Hello Wood took place near the small village of Vigántpetend in the west of Hungary. A total of 120 students and 30 team leaders from all over the world lived and worked together for eight long days. This year’s special honoured guest was architect Katsuya Fukushima from Tokyo. Emiel Lamers was invited by Hello Wood as an outside observer and critic in his role as correspondent for A10 magazine. The students, divided into 15 groups, made the most amazing wooden constructions for a temporary village, part of this year’s 25th edition of the Valley of Arts festival. Last week, 34 architects and clients from France, Rhône-Alpes, visited the Dutch capital for their annual excursion. 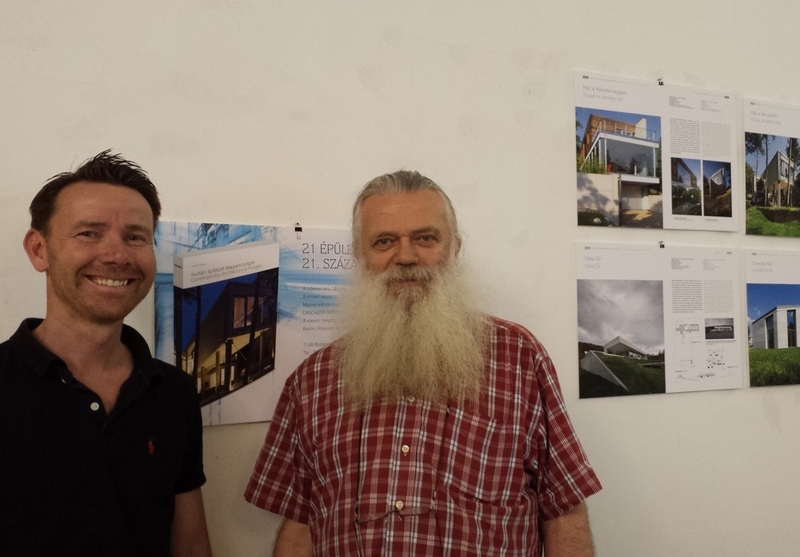 For three days, Emiel Lamers showed them many new developments and buildings in Amsterdam. 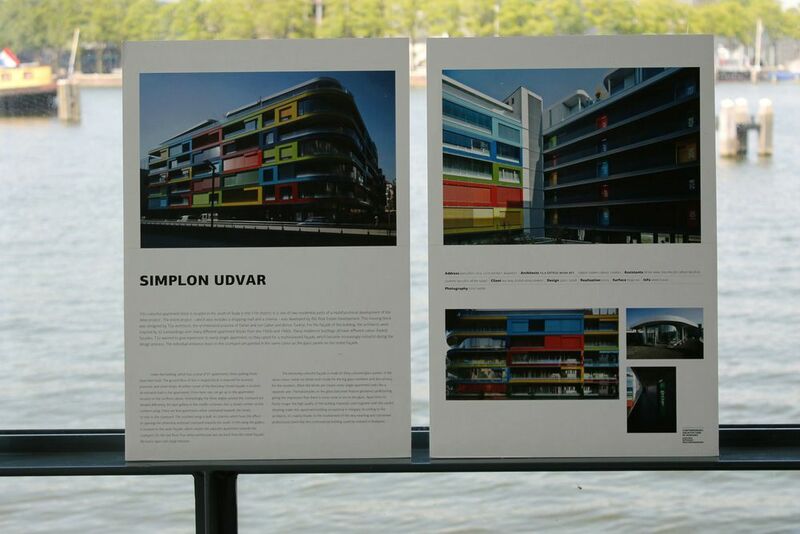 On Thursday, Walter van Dijk (NL architects) presented his original undulated urban block in Funenpark. On Friday afternoon, Joost Vos (Bethem Crouwel) gave a private tour through the new and old parts of the Stedelijk Museum. And on Saturday, the French group visited the floating houses in IJburg , IJdock and Oosterdokseiland with its lively city library. During a two-day visit of the new textile factory SCF in Cholet, France, many new photos of the interior and exterior were taken. All 400 production and test machines have now been installed and the company is already thinking of an extension on the empty plot next to the new site. 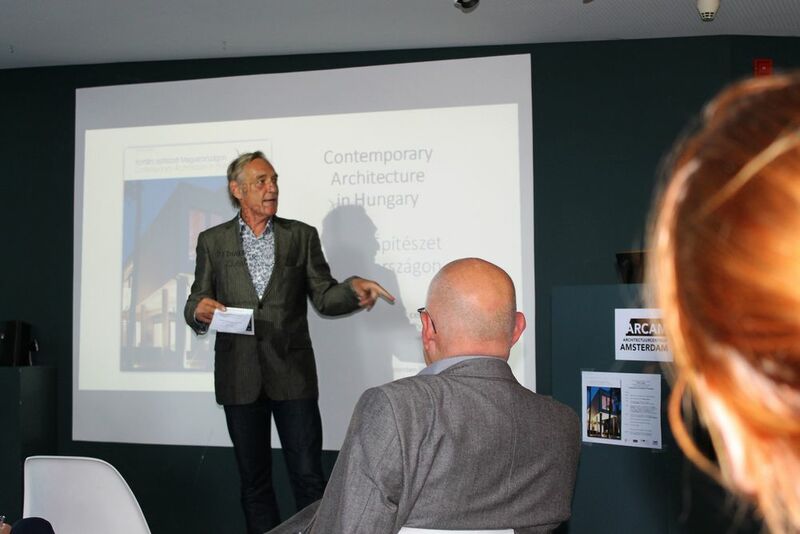 On Tuesday, May 19th, Emiel Lamers gave a book presentation about his new book, Contemporary Architecture in Hungary, in FUGA, the Budapest Centre for Architecture. After the lecture, there was a roundtable discussion organized with Zorán Vukosávljev (author of the Hungarian book about Dutch Contemporary Architecture) and Dániel Kovács, former editor-in-chief of hg.hu. In the bookshop of FUGA, the exhibition about the book is on view until the end of the month.